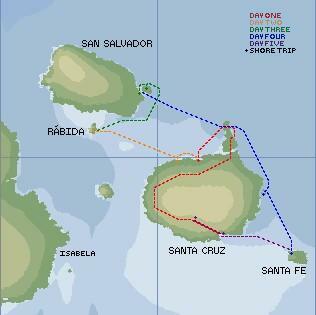 Tour Start: Baltra Island, April 30, midday. With the nifty new abilities of FrontPage, we now have a photo gallery of pictures from our tour at the bottom of this page. The newsletter that we sent out just after this tour has our right-at-the-moment thoughts about this fantastic tour. And on Sue's pages, there is more on the Flora and Fauna and Birds of the Galapagos. (Amanda age 14) Because the government doesn't allow yachts to go to any anchorages besides the four main towns, I was glad that we got to go on a tour. It even turned out cheaper than if we had hired a guide to go on our boat, so that we could go other places, which I think was done on purpose. Still, it wasn't cheap, but man, was it worth it. The boat was big and luxurious, the food was excellent, and the things to see were wonderful. I want to write about it all, but then everyone else will just be repeating me. The snorkeling was all right, if cold. I wore my wetsuit all the time, and so did everyone else, and at some places we still had to get out after 10 minutes. There weren't any coral reefs, but there were plenty of fish, many of which frustrated us because we couldn't identify them. Almost everywhere we went there was at least one sea lion playing with us, and once we saw a turtle, and sometimes penguins. At Bartolome there was a place where we could see about 15 white-tip sharks just circling in one place. Needless to say, we didn't go swimming there. After every excursion, the cooks always laid out a nice snack of crackers, cookies, candies, peanuts, etc., and juice. Every meal was huge, beautifully garnished, and there was way too much for the nine of us on board. (Chris age 16) Well, where can I even start? First off, I was really glad that the boat went to so many places. We didn't spend so long anywhere that it got boring, but I felt that I really explored everywhere we went, and that I saw everything I had hoped to. In fact, I saw far more than I had really imagined. 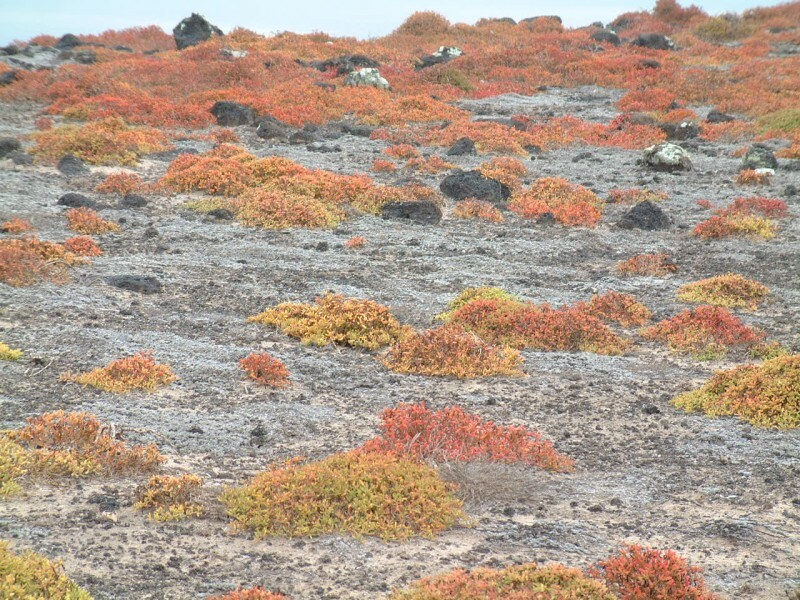 The Galapagos are every bit as great as advertised, and I would really strongly recommend that anybody coming down here go on a tour like ours. It was totally wonderful. All the stuff I saw deserves its own paragraph. First off, there was something new everywhere. 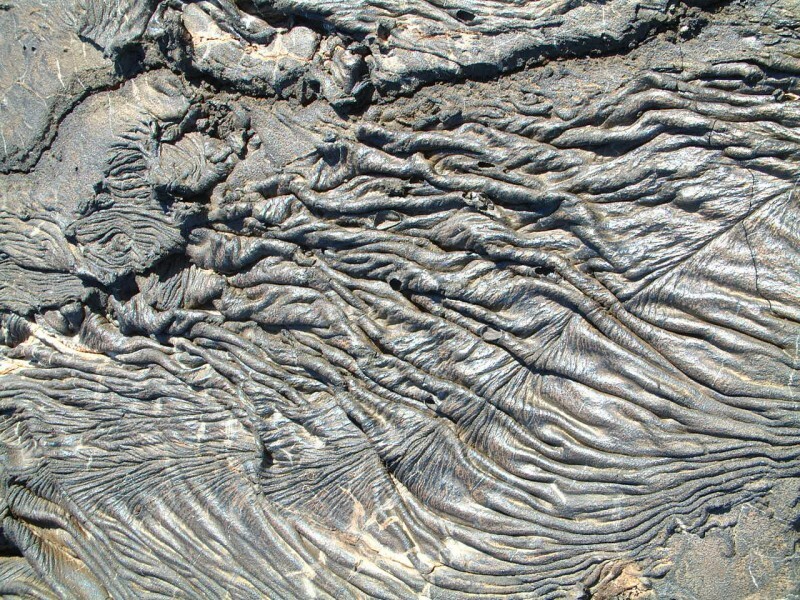 Often it was an animal, but sometimes a plant or natural formation. For example, we saw sea turtle nests on our first day, at Bachas Beach, and swam with a turtle on Rábida. I also played underwater games with sea lions in Rábida. 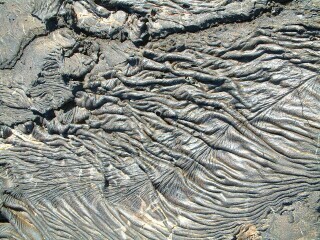 On Bartolomé, we saw penguins, and on Santiago we walked on a lava flow a mere 100 years old and looked at the clear patterns in the lava. 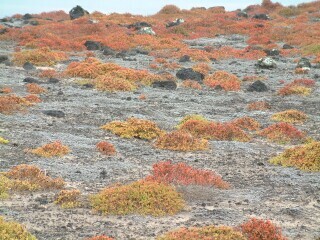 On Plazas, we walked around gorgeously bright and colorful carpetweed. The tour boat itself, Lobo de Mar III (Sea Wolf 3) was comfortable, with a nice lounge, dining room, and aft deck lounge. Our guide spoke reasonable English, and the food was really excellent. 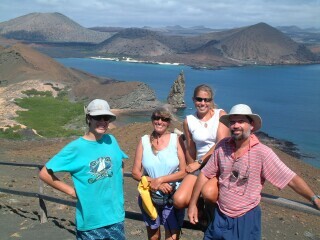 Overall, I felt that the tour was one of the best possible ways to see the Galapagos. I think anybody who wants to really experience these wonderful islands should try a tour like ours. 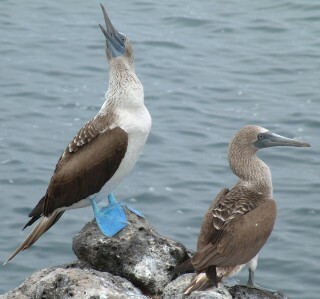 The Blue footed boobies were so cute! (Jon) Yes, this tour was delightful. When cruising without an income, I'm always hesitant to spend large chunks of change, but this was certainly worth it. After all, we're here for the experiences, but my tight-fisted-ness is still pretty ingrained. The kids especially are still effusive about the trip, which warms my heart as they should remember it for a long time (experiential gifts are delightful that way). We were cared for like we were on a cruise ship, but the service was much more personal because there were only 9 of us. I think my favorite part was watching how much Sue and Tony got out of 'discovering' all the new animals. Our naturalist guide, Rodrigo, had his hands full fielding questions from Tony (a professional wildlife biologist) but he tried hard. I think the only disappointing aspect of the trip was the scuba diving. We'd long heard that scuba diving in the Galapagos was fantastic, so we investigated turning the tour into a dive-trip as well. The owners of the boat were amenable, but only for $60/person/dive, with a 4-dive minimum. Now, taking one person out probably costs about $60, but it sure doesn't cost that much to add a 2nd, 3rd, or 4th person. Air costs about $3/fill, and rental gear can be had for about $20/day. The guide has to be paid for, but there would be several of us going. But the owners wouldn't negotiate, and I wasn't about to pay almost $1,000 for 4 dives, so we rented wetsuits and went snorkeling after each shore excursion instead. In the end, I realized that we'd made the right decision. Water clarity was only so-so, rarely getting as high as 60' (20m) and sometimes it was only 15' (5m). There were a few fish, but no large schools like we were used to in the tropics. There was essentially no coral at all (water too cold) and therefore little color. Apparently, much of the allure of scuba diving in the Galapagos is to swim with the sharks, but I got quite enough of that just snorkeling (I saw 2, both at about 15', which was quite close enough for me, thank you very much!) I don't think we missed much, and we got much better scuba diving (with lots of sharks) a month later in the Tuamotus, especially Fakarava. Click a thumbnail to enlarge. Scroll across to see more thumbnails, and down to see captions.